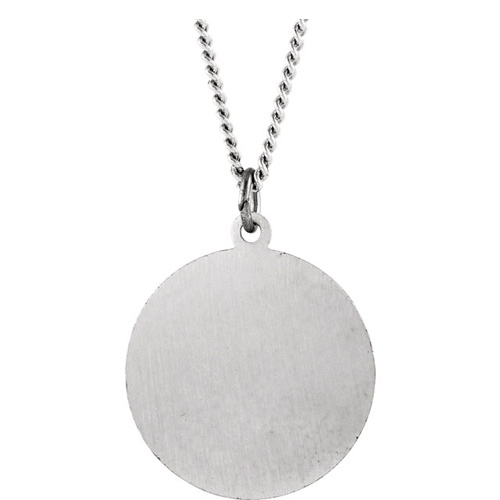 Antiqued sterling silver round St Lazarus medal with matching 18-inch chain. 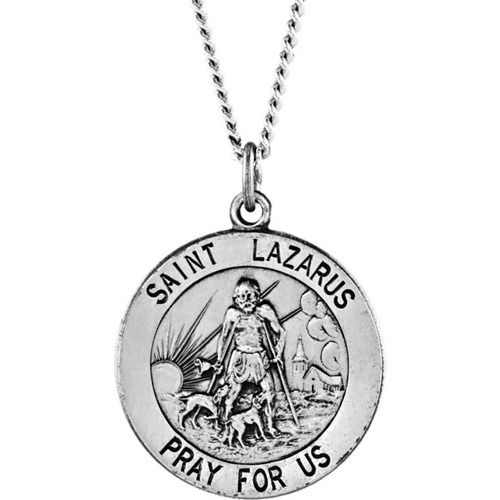 Inscription reads: SAINT LAZARUS PRAY FOR US. Weighs 2.17 grams. Please note: weight is approximate, actual weight may vary.